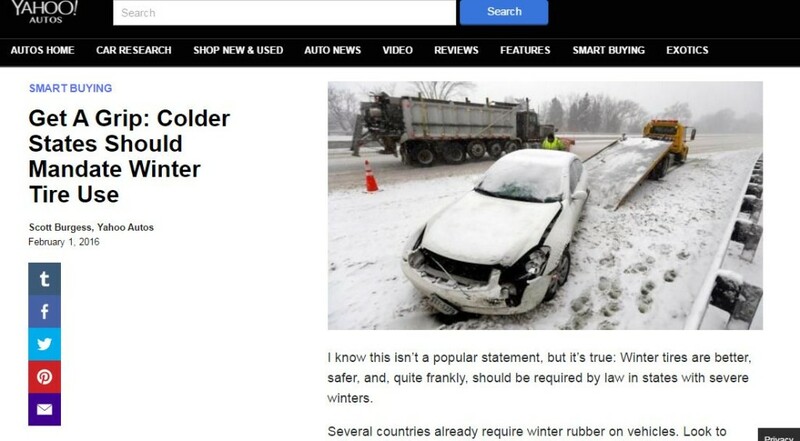 Amid all the high-tech solutions under development to reduce crashes, a Yahoo Autos writer has argued for the low-tech answer of cold states mandating snow tires. 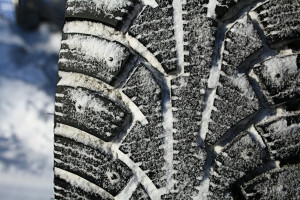 “I know this isn’t a popular statement, but it’s true: Winter tires are better, safer, and, quite frankly, should be required by law in states with severe winters,” Scott Burgess opened a Feb. 1 post. While it didn’t call for a mandate, Car & Driver late last year also argued that far more than the current 25 percent of Snow Belt drivers ought to use snow tires (in a fun story about trials at Finland’s all-year-round-icy Test World). Either option would cut into repairers’ crash season. Quebec, which required them in 2008 between Dec. 15-March 15, found the tires cut crashes by at least 5 percent, even though 90 percent of the population already used them, according to the New York Times in 2011. In 2014, a Quebec agency representative estimated the drop to be 4 percent in a WCAX story. “We noticed before that the 10 percent of motorists using all-season tires were implicated in 33 percent of accidents in winter,” province Ministry of Transport spokeswoman Caroline Larose told the newspaper. Burgess noted that Germany mandates cars must have “mud+snow” tires between about October to Easter, and insurers probably wouldn’t cover damage if you omitted them during that time. Where do you store the tires, particularly if you live in an apartment? At a tire shop or dealership, Burgess argued. That could be profitable, though we’d question the “easily.” More likely, the tire brand would have build some kind of tire-swapping warehouse and pay it off with some fee to the customer. Burgess described his testing of regular and winter BFGoodrich tires in Maine, a study which involved by driving 25 mph and slamming on the brakes at a slick of a Maine road. It’s hard to picture such a law ever taking hold in America. The New York Times 2011 piece observed that no states had contacted Quebec about its law. Many states don’t even have mandatory vehicle inspections, and comments on the post blasted Burgess and drivers who hadn’t figured out they should just drive slow in the winter. Still, it and the Car & Driver piece are crash-related calls to action on national forums worth noting here.